I always try to venture away from pink and purchase pieces in different colors. But, I just love pink! 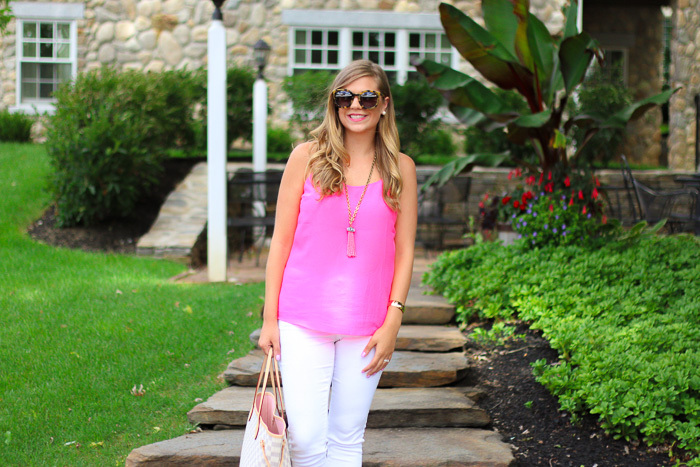 I purchased this top in the spring and it's been one of my most worn pieces this summer. 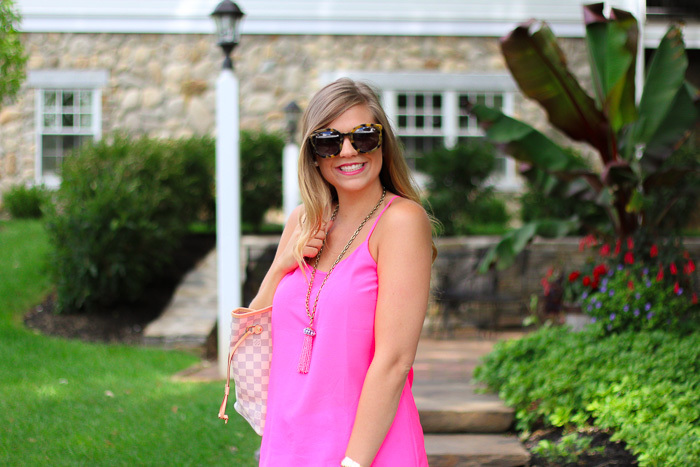 It's so bright fun, and light, making it the perfect summer top! When I saw this necklace tassel necklace the other day I had the turquoise color in my cart (which I do love!) but at the last minute switched it to the pink. 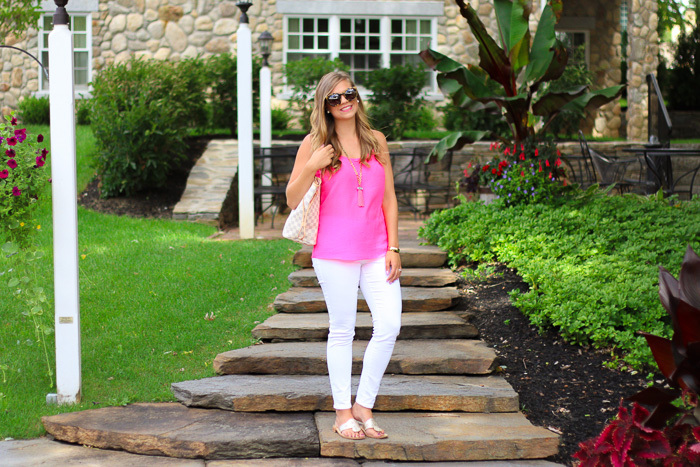 Even though it basically blends in with this top, I think the monochromatic look works! I've also worn this necklace with a basic white tee and with a black dress. It's super easy to dress up or down and can easily be worn for all different occasions. I especially love the chunky chain and the beaded tassel, it's just perfect! I love this necklace- such a fun, but subtle, pop of color!